There are many reasons why one would try to sell his home fast. If you too are facing a tough situation and need cash offer to sell the property quickly, we are here to help you sell your home fast in Charlotte. Feel free to call us at 704.253.1007 so that we can discuss the details of your situation and find out how we can help. 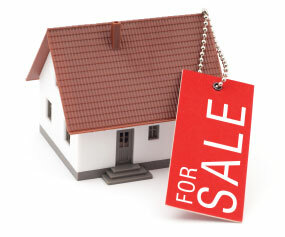 Why sell your house fast Charlotte? The first step is to call us, 2 Brothers Real Estate, at 704.253.1007. We can discuss the details of the situation involving your house and walk you through our service to explain how we can help you sell your house fast Charlotte, and then we hope to give you a cash offer today! Just call our office or complete the Cash Offer Today form. We understand that many of these situations are time sensitive and we will work hard to help you as fast as we can. The 2 Brothers Real Estate team has been buying properties in the Charlotte area for many years and we may be able to buy yours before your situation gets any worse. If you wish to sell the house sooner, waste no time! Call us now! We will be able to quickly let you know if your house is a fit for us. If we do buy your house, you can leave your worries and house behind so that you can move on with your life. While there are many reasons you need to sell your home fast, here are some resources on avoiding foreclosure.